HomeSocialHow To Become An Instagram Influencer? How To Become An Instagram Influencer? 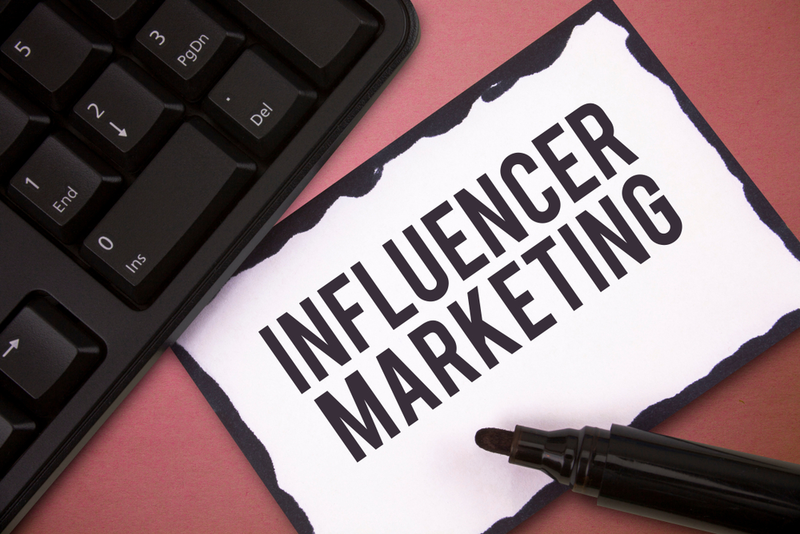 : Do you want to be an influencer and do not know how? Are you eager to increase your digital relevance? If so, in this quick guide we show you how to become an influencer in 7 simple steps. In the middle of the 19th century, the "Gold Rush" broke out in California. Huge numbers of immigrants arrived on the West Coast, and San Francisco went from being a village to a big city thanks to this phenomenon. Half the country and a multitude of foreigners came to get their share of the booty. More than a century and a half later, history repeats itself, only that digital relevance has replaced gold, and the Internet has replaced California. The former gold prospectors are now the influencers, half-haired beings who roam the net seeking to make brands believe they are important and that they must count on them for their media advertisements. Many have achieved it and have made it their livelihood. You can also try it, and although they will see you as another piranha in the tank in the beginning, you can end up joining their select club. Of course, an influencer never calls himself "influencer". It is simply someone "very relevant who has great relationships with brands." To get to this status, the path is hard, but with these 7 simple steps it will be easier for you. A for the gold. Do not be scrupulous, a scrupulous influencer is nothing. Now there is no time to think about organic growth strategies, you need something much faster. With your 200 followers you do not get anywhere, so the best thing is that you enter any page of purchase of followers and you do with a good pack. 1,000 are not enough, let's start strong: 25,000. It depends on the web where you get the price of this pack can vary between 50 and 100 dollars, although I cannot guarantee its reliability. But I do guarantee that if you meet point 2, there will be someone who starts visiting your profile to see who you are, and will believe that there are 25,200 people who want to hear what you say. In love with my new @HTC_en One. I wonder if @Orange_es will be able to respond to the new rate of @somosYoigo, I would like to stay with them. Whoa, this coffee from @Nespresso is amazing! I hope you let me try your new machine. What a wonderful sandwich of @RodillaSandwich, I did not eat one so rich since that trip to London with @Iberia. Unless they solve my problem in 24 hours, I cannot advise anyone to carry @ONO_ONO. Disappointed. You can be nice, but not in excess. You can be critical, but in moderation. The important thing is that they know that you are open to speaking well or badly about them in exchange for favors. But always mentioning brands, more than you think will bow to you and your many followers. To begin with, with your location. Being from Alpedrete, Castillejo de Iniesta or Lepe is fine, but if you want to succeed, you must replace it with the provincial capital. If the result is not entirely convincing, you can always add Madrid, as if you lived on horseback between those two cities. For example, "Murcia / Madrid”. And then curl the loop with three cities, such as "Murcia / Madrid / Barcelona" and show that you are more cosmopolitan than anyone else. You will make it clear that you are very cool and stay in your land, even though your tight schedule influencer forces you to visit the capital or even more cities frequently. Especially for events, but also for your "projects and ventures", although of this last you have rather little. But nobody knows, and with the truth ahead you do not get to influence. Then there is the bio itself. Say you're a photographer. Even if it's a lie, it always looks good. Say you are an entrepreneur, even if you have no initiative to go and wash the car. Things like "SEO / SEM / Marketing Online / Community Manager" are a must in the bio of good influencer And if you do not have much else to put, you can always call yourself "Speaker". Do not be shocked by the null relationship between term and reality, we will solve it in point 6. It will not take you more than 20 minutes in the morning to search for a generic web full of quotes and motivational phrases, copy about ten, say, and schedule them throughout the day with tools like Buffer. Then you just have to wait while the retweets arrive, while you think about how to squeeze the first brand that has occurred to you to pay attention to you (poor of her, happy of you). Pro Tip: Say Good Morning and Good Night. As an influencer, your Twitter will gain a very important added value. The suit you have in the closet is not worth it. If you lack ideas, you can consult the guide to emulate the "total gray look" of Guardiola. Let your attire speak for itself of your great digital relevance. You will need it in the many events that you will attend from now on, teleworking is no longer valid. They must see you in person, very elegant. Eating cupcakes while you tweet with a corporate hashtag is very different if it is done with a tuxedo than with some vulgar jeans and a sweatshirt. And the influencer is elegant by definition. Without a good look, you lack something important and you will be very limited. As if you were going to Ikea by subway. Pro Tip: Always wear an elegant handkerchief in the pocket of the tuxedo. The croquettes served in the caterings leave crumbs everywhere. Such an affirmation can hit too much, maybe you think that it will be easy for you to buy a tuxedo or followers, but that being a lecturer is something very far away. It really is not. In fact, you will be a university lecturer. The how is very simple: the universities rent their halls of events for, worth the redundancy, acts. You can rent them yourself for an afternoon for a price of between 100 and 300 euros, depending on the university and type of space. Then you just have to invite family and friends, and present an empty talk of 2009 about the state of the Internet according to you. Shot of price, compared to how good it will look on your Twitter and LinkedIn that you are "university lecturer". It was not that hard to get it. If you have doubts about the morality of this, remember the mythical clarification of Lionel Hutz about "The Truth". In one of the many events that your hard work will make you attend (remember: Murcia / Madrid / Barcelona). In the first events you go to, you will accuse your lack of experience, but you only have to get a drink, support your elbow in a high bar, and make an interesting face. Do not look at the cell phone, that's forever. It simply evaluates the environment with the gaze of someone who knows himself superior to others. You will notice that you start riding on the wave of exaggerated fame when people come to greet you. Your challenge will have been a success. Congratulations, you are one more. You will spend the days from event to event. You are already an influencer.